Two Valley theaters open their summer seasons this week, hot on the heels of two others completing their initial runs this weekend. The performances showcase the wide variety of work we’ve come to expect from the region’s hot-weather troupes. This week’s shows feature, depending on how you quarter the pie, two classics and two contemporaries; three comedies and a tragedy; two locked-room seminars and two family misadventures; or one literary cat-fight, one surreal squabble, one quirky world history, and one blood-soaked romance. Seminar, playing through this weekend at New Century Theatre, doesn’t take place in a literally locked room — see below for that one. But the setting, a swank Upper West Side apartment, is just as claustrophobic in its own way. There we find four aspiring young novelists trying to one-up (and chat up) each other while being mostly put down by their teacher, a famous writer now past his literary prime. He repays the hefty fees they’ve plunked down for his tutorial with witty, withering contempt. 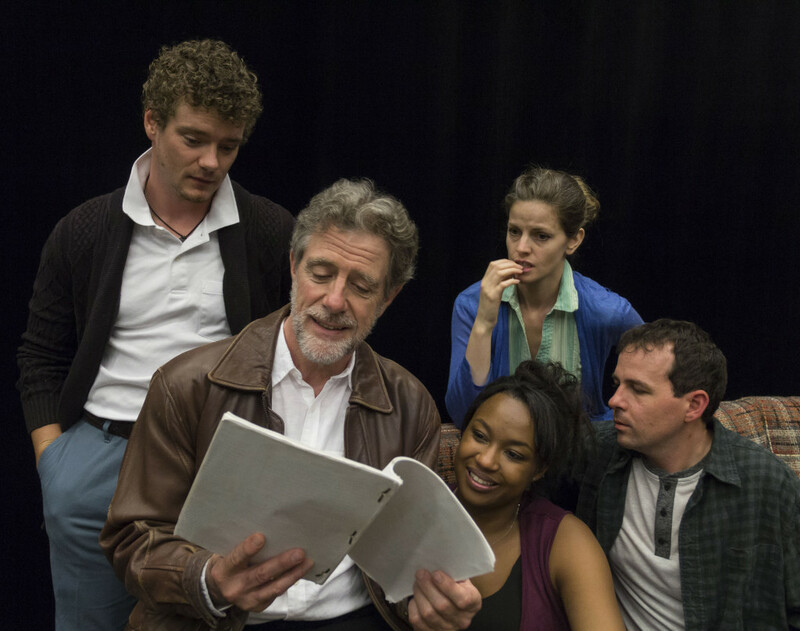 Theresa Rebeck’s comedy, drawn from her own writers’-group experiences, skewers literary pretension in a cauldron of artistic and sexual angst. 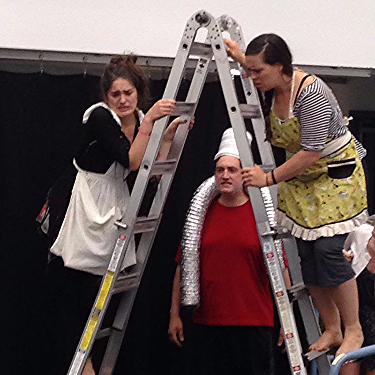 NCT’s production, directed by Maggie Miller, features Keith Langsdale as the derisive guru. Chester Theatre Company takes the prize for the season’s longest title (and shortest subtitle): The Gospel According to Thomas Jefferson, Charles Dickens and Count Leo Tolstoy: Discord. This is the show with the actually locked door. The three eponymous gents find themselves in a bleak “cosmic foyer” — not Heaven or Hell, despite the echoes of Sartre’s No Exit, but a purgatorial interrogation room where the great minds confront each other’s theologies and aesthetics, along with their own artistic and personal shortcomings. 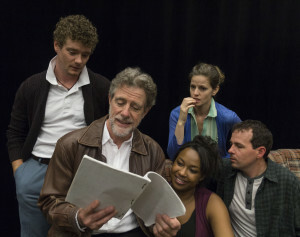 Scott Carter’s brief, incisive play, praised as “a seamless confluence of comedy and profundity,” opens Wednesday for a two-week run. It’s directed by Byam Stevens in his last season with the company he’s led for the past 18 years. Silverthorne Theatre Company starts its second season this week with a modern classic, The Skin of Our Teeth. 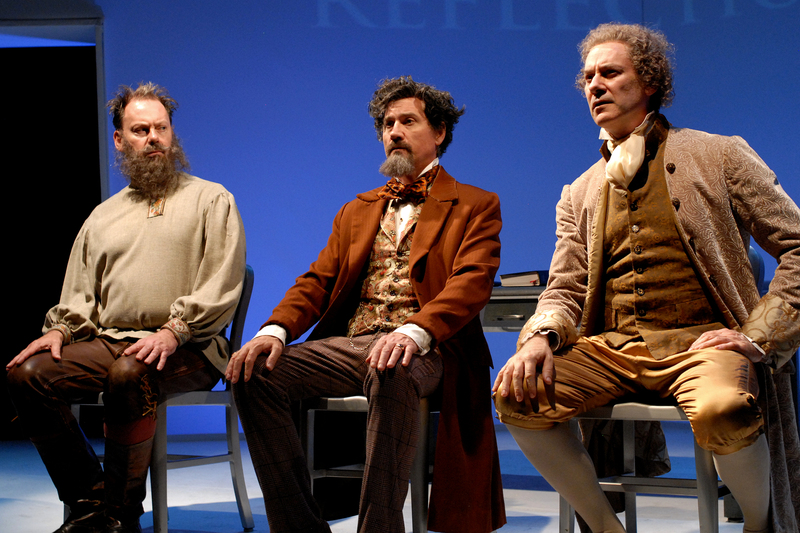 Thornton Wilder’s comical/satirical/metaphysical romp through human history is as different as it could be from Our Town, and just as stylistically revolutionary. Leaping over epochs and genres, it frames a not-so-ordinary American family in three head-spinning snapshots: defending their Stone Age suburban home as the Ice Age encroaches; attending an Atlantic City convention of the Fraternal Order of Mammals; and emerging into a post-apocalyptic world where the line between real life and drama is exploded. After its debut season in Gill last year, Silverthorne has moved into the Sloan Theater at Greenfield Community College. Toby Bercovici directs the season opener, her second crack in a year at this deceptively whimsical and surprisingly profound masterpiece. 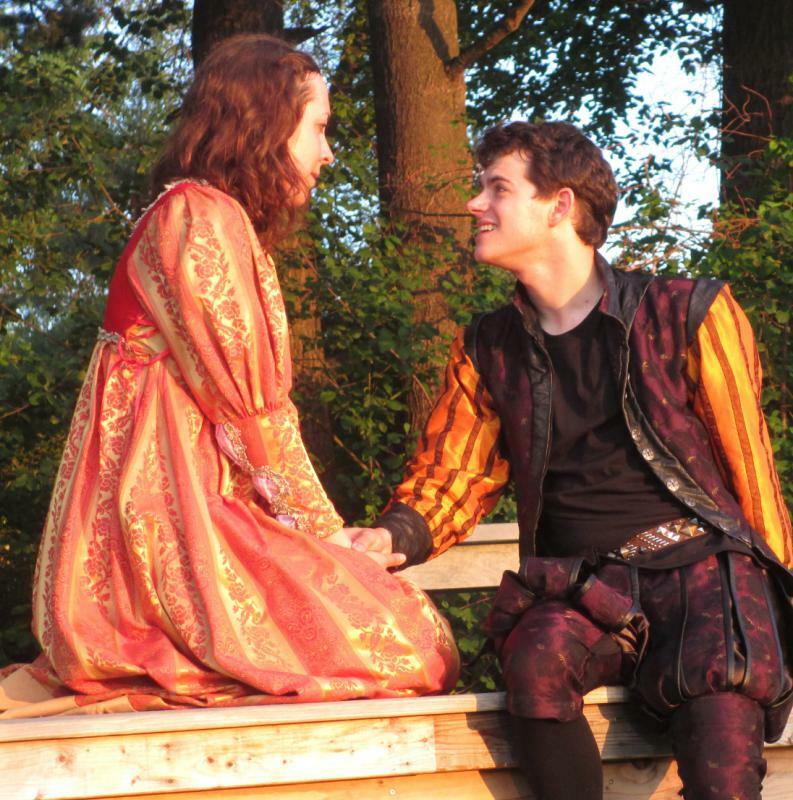 Hampshire Shakespeare Company’s Romeo and Juliet, playing through this weekend, is the only one of this quartet of productions I was able to catch before deadline. It’s performed at the Renaissance Center in Amherst on a bare platform under majestic evergreens. Brianna Sloan’s adventurous production strikes a comparable asymmetry: sumptuously but capriciously costumed by Erin Mabee (doublet and hose and high tops), liberally cross-gendered (many women in male roles, but also Glenn Proud as both a skinhead Tybalt and a burlesque, bearded Nurse) and a first half, bathed in sunset, that reaches audaciously for laughs before turning darker.